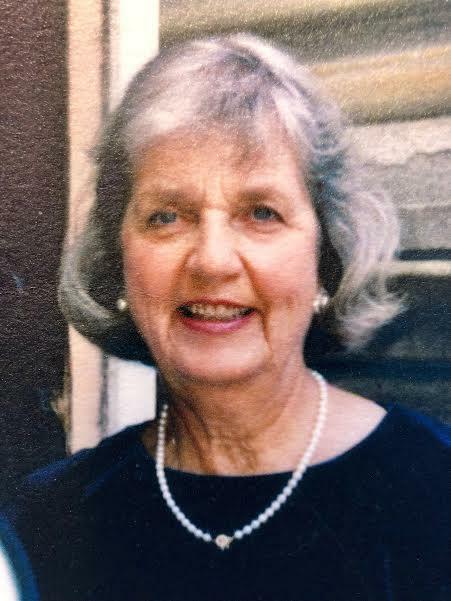 Theresa (Camire) Averill, 92, wife of the late Dr. Charles J. Averill, passed peacefully in her sleep on Wednesday January 16, 2019 with her sons at her side. Theresa “Terry” was born on March 1, 1926 in Barre, Vermont to Arthur E. and Eugenie (Bisson) Camire. She attended St. Monica’s School, graduated from Spaulding High School, and Trinity College in Burlington, Vermont in 1947. Terry was an avid golfer and longtime member of the Burlington Country Club. She loved the game of golf and cherished the friendships developed over the years with many Club members. Terry was a competitive golfer and won several women’s individual and team championships. Terry met her future husband, Charlie, at the Burlington Country Club. They were married in 1956, in Burlington, where they continued to live and raise a beautiful family of six boys. Terry was involved in her community over the years, serving on Catholic elementary school boards, Parent Teachers Organizations, The Boys and Girls Club of Burlington, as an associate trustee at St. Michael’s College, and volunteering to serve others through the Meals on Wheels program. She enjoyed and supported all UVM athletics, especially UVM Hockey and Basketball. Terry was predeceased by her husband of over 50 years, Charlie, her sister Lillian Legier, and brother Arthur Camire. She is survived by her six sons and their spouses: James and Colleen of North Ferrisburgh, VT, David and Amy of South Burlington, VT, Paul and Sue of Williston, VT, Howard and Sharon of South Salem, NY, Bryan and Carey of Virginia Beach, VA, and Jonathan and Amy of Shelburne, VT. Terry has thirteen beautiful grandchildren: Travis, Daniel, Erik, Tim, Emi, Kim, Kylie, Zoe, Jacob, Samuel, Caroline, Charlie, Jack, and one great grand child Marlie. Terry is also survived by numerous nieces and nephews. Terry was a devout Catholic throughout her life, attending services at the UVM Catholic Newman Center Church. Funeral Services will be held 11 a.m. on Friday, January 25th at St. John Vianney Catholic Church, 169 Hinesburg Road, South Burlington, VT. Terry was a long time parishioner and supporter of the ministry at the Catholic Center at UVM. In lieu of flowers, please make donations to The Catholic Center at UVM, 390 South Prospect Street, Burlington VT, 05401 or online at uvmcatholic.com.